Peter is a co-owner of Elite Health & Fitness Center and cofounder of the nationally recognized Elite Sports Fitness Boot Camp program. Peter has worked with several of Boston’s most legendary athletes including American League MVP, Mo Vaughn, and Olympic Gold Medalist, Jim Craig. He has also worked with Major League Baseball All-Stars including a Boston Red Sox MVP. In addition to working closely with the training staff of both the Boston Red Sox and the Anaheim Angels, Peter was the strength and conditioning coach for the Mo Vaughn, Trot Nixon, Nomar Garciaparra and Jason Varitek Baseball Camps, as well as, Jim Craig's Gold Medal Hockey School. He is currently the strength and conditioning coach for Dustin Pedroia’s Baseball Camp, the Brockton Rox and Stonehill College. 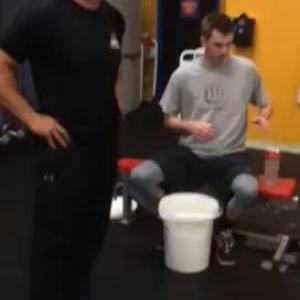 Peter has also worked as the strength and conditioning coach for Bryant University and Suffolk University. Peter has over 20 years experience as a full-time personal trainer and holds a Master's degree in nutrition from Huntington College of Health Sciences. He also has an Associate’s degree in Healthcare Management and a Bachelor’s degree in Health & Fitness. In addition, he holds a Career Diploma in both nutrition and fitness from Ashworth College. At Ashworth College he was awarded the DETC (Distance Education Training Council) Outstanding Graduate of the year award. Peter is certified as a personal trainer through ACSM, NCSF, AFAA, FRA, NCCPT and IFA. He is board certified by the American Association of Drugless Practitioners. He is also a certified strength and conditioning specialist through the NSCA and NSPA, a certified TRX instructor, Level 1 CrossFit Trainer and FMS (Functional Movement Screening) certified. He is a member of the NSCA and on the advisory board for the National Strength Professionals Association (NSPA).